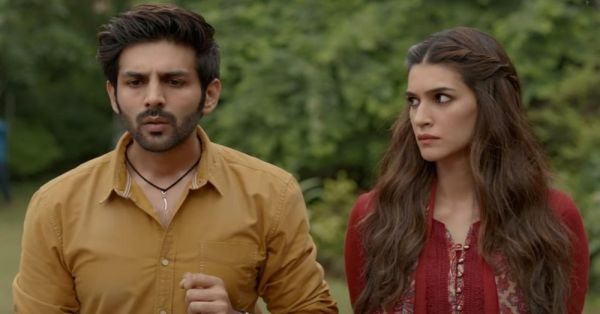 Kartik Aaryan and Kriti Sanon's Luka Chuppi was a hit at the box office and was lauded by viewers and critics alike. The rom-com tells the story of a television reporter who is in a live-in relationship with a headstrong woman. After its staggering reception, many gave Kartik the credit for the film's success and bringing in the majority of the audience. 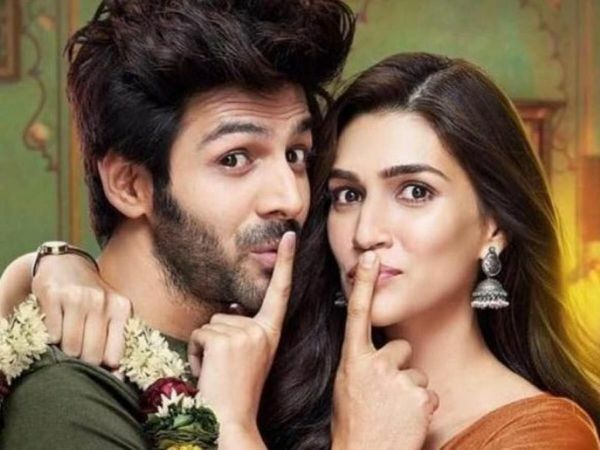 In a recent interview, Kriti expressed that she was disappointed by this unfair practice, owing to which all the credit for Luka Chuppi's success was given to her male co-star. 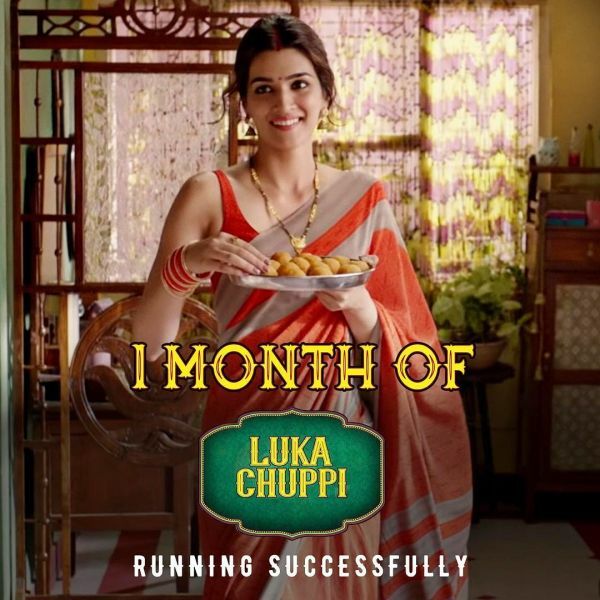 Laxman Utekar's Luka Chuppi managed to garner over Rs. 114.74 crores at the domestic box office. In a recent interview, when a leading daily asked Kriti Sanon how she felt about not getting her due for the film's success, she said, "This business of overlooking the leading lady has been going on for a while and it's so unfair. I am glad this conversation is finally happening. It's logical to talk about only the male protagonist when the leading lady doesn't have a lot to do, but when they are both carrying a film on their shoulders, the credit should be equally shared. Everybody deserves a mention." Kriti is not the only actress who has spoken about the issue of gender disparity within the industry. Actress Taapsee Pannu recently reposted a tweet that credited only Amitabh Bachchan for the success of Badla and called out the journalist, stating that she had worked equally hard. The tweet had mentioned Badla and Luka Chuppi, crediting the male leads only. Identifying with Taapsee's lack of recognition, Kriti Sanon seconded the actress' statement by retweeting "#ifeelyougirl." Kriti also opened up about the gender pay disparity in Bollywood and said that there have been cases in which actresses have received a bigger paycheck than their male counterparts: "Remuneration should be in sync with two things - your role in the film and your capacity to pull in the audience. There have been instances in the past when actresses have been paid more than their hero. For me, money is important, but never the reason to do a film. The script, my character and the crew are the key considerations." In Bollywood, gender disparity remains the proverbial elephant in the room. However, recently, many leading actresses have voiced their disappointment towards this biased treatment. Not only women, but numerous male actors have also given their support to vouch for equal practices in the industry. When asked about Shah Rukh Khan's initiative to name his female co-stars before him in a film’s credits, Kriti acknowledged the superstar's efforts but also said that this can't be practised in isolation: "It's best to name the cast alphabetically rather than by gender." On the work front, Kriti Sanon has been signed opposite Diljit Dosanjh for Arjun Patiala. The actress will also be seen in Ashutosh Gowarikar's Panipat and Housefull 4.